Die Trendloft GmbH ist eine Modeagentur mit eigenem Showroom in Sindelfingen. Spezialisiert auf Menswear und Womenswear sowie Jeans und Accessoires betreuen wir auf über 1000qm mit 2 Teams rund 300 Kunden in den Gebieten Baden-Württemberg/Hessen/Saarland und Rheinland Pfalz. Trendloft verfügt ebenfalls über ein Agenturnetzwerk in allen Deutschen Modemetropolen sowie der Schweiz, Österreich und den Beneluxländern. Das macht Trendloft zu einer der größten und bekanntesten Modeagenturen in Deutschland. Trendloft is a fashion agency with a showroom in Sindelfingen. we provide more than 1000qm space for our labels and more than 300 customers are using our services in Baden-Württemberg/Hessen/Saarland and Rheinland Pfalz. Trendloft can draw on a big network of agencys in all german fashionmetropolis also in Switzerland, Austria and the Benelux.  That makes Trendloft to one of the biggest fashionagencies in the market. Top Gun® is military inspired outerwear brand for men, women and kids that goes beyond its aviation heritage. It represents perfection, authenticity, quality and durability. The Top Gun® lifestyle maintains its passion for speed, performance and style with a new, sophisticated casualness that is decidedly subtle and elevated in its quality and workmanship. A loft can be an upper storey or attic in a building, directly under the roof. Alternatively, a loft apartment refers to large adaptable open space, often converted for residential use (a converted loft) from some other use, often light industrial. Adding to the confusion, some converted lofts include upper open loft areas. Within certain upper loft areas exist even further lofts.